This was a quick side trip that we almost passed on. Glad we didn't. 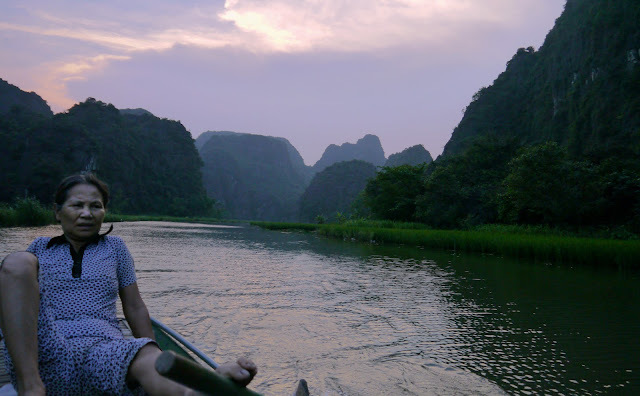 Often, Ninh Binh is billed as the land version of Halong Bay. It features the same surreal limestone karst formations but the filling between them is mostly rice paddies and small rivers. We arrived later in the afternoon than we had hoped and thought that we may not be able to make it out to see anything. But our hotel arranged a car that took us out to Tam Coc and actually the timing worked out perfectly. All the tourists were gone and the sun was in it's magic hour. 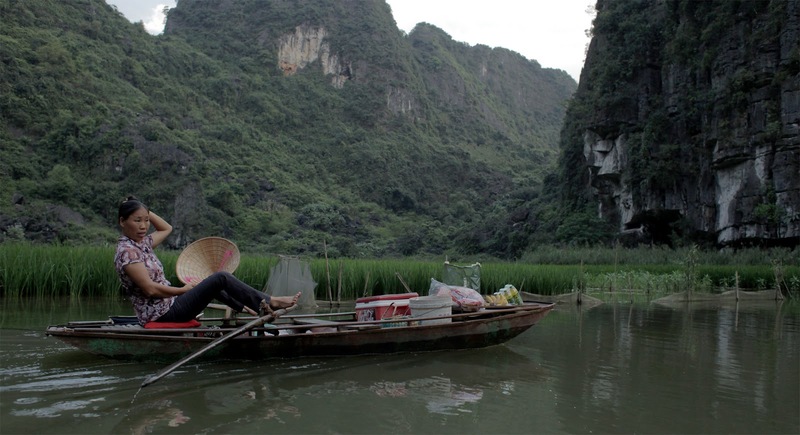 We took a boat through caves and beautiful landscape for a couple of hours with a woman who rowed with her feet.